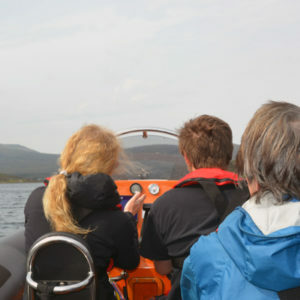 This course is for leisure and professional boaters wanting to undertake more adventurous trips by day and night. It includes navigation at planning speeds, weather and other aspects of skippering powerboats on more challenging passages. Anyone undertaking this course should have the practical skills of the Intermediate course and knowledge of navigation to at least the standard of the RYA Coastal Skipper/Yachtmaster shorebased course. 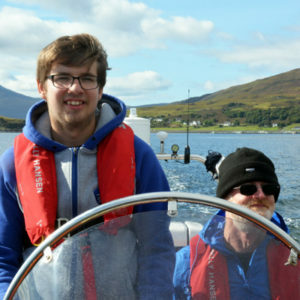 We can run this course on demand for a group of family or friends of up to 3 people (the maximum permissible ratio to run these RYA courses), and usually require a minimum of 2 people for the course to run (if you are the only person booked on the course then we may reschedule the course). We do not schedule many of the Advanced courses, but can arrange them at short notice according to demand. 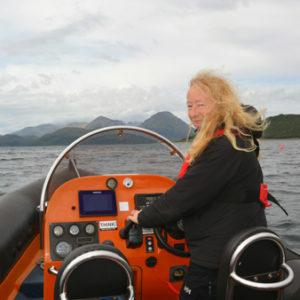 Assumed knowledge Candidates should be competent to the standard of the Intermediate Powerboat Certificate with a thorough knowledge of the navigation and chartwork to the level of Coastal Skipper/RYA Yachtmaster Shorebased certificate. It is a requirement that candidates hold a VHF/SRC operators certificate and a valid First Aid certificate before attending this course, as it restricts what we can do on the course (please contact us first before booking if you do not hold these). Minimum duration 2 days including at least 1 night navigation exercise. Course content Preparation for sea, Passage planning, Meteorology, IRPCS, Skippers responsibilities. Boat handling, Pilotage, High speed handling, Use of engines, Emergency situations, Night cruising. Ability after the course Able to plan and execute coastal trips and return to a familiar port by night. This handbook is the official companion to the RYA Powerboat Advanced course, but it is also equally relevant to those who are simply keen to develop and consolidate their knowledge to help improve their theoretical and practical skills. The book focuses on the advanced aspects of powerboating and demystifies the more complicated techniques for operating an open vessel by day and night. 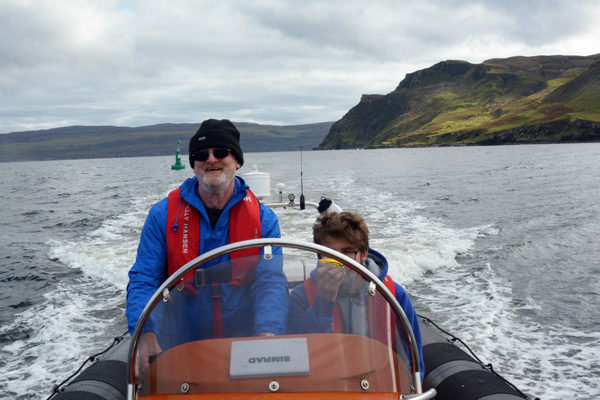 This new edition of the RYA Yachmaster Shorebased Notes covers the theoretical knowledge base required before attending the RYA Advanced Powerboat course. It includes enhanced sections on weather, navigation, pilotage, voyage planning and special situations when afloat alongside notes on all aspects of the syllabus. The complete guide to navigation for anyone taking to the water. It provides the reader with a sound understanding of the principles of navigation as well as providing insight into the ways in which electronic navigation can be used to best effect. Exercises to accompany all RYA Training courses. All vital aspects of seamanship are included,from estimated positions and tide tables to meteorology and maydays. Through full colour illustrations, this book follows the newly revised Yachmaster syllabus and includes recent developments in electronic chart plotting and GPS. This edition of the RYA Weather Handbook covers the Northern and Southern hemispheres, and is full of practical and useful information, on aspects such as theory, weather charts, clouds, predicting the wind, and the technology used in sourcing meteorological information. This edition provides a clear and authoritative explanation of each regulation, helping any seafarer understand their responsibilities. Chapters include Assessing the risk, Who Gives Way, Restricted Visibility, Lights and Shapes, Sound and Light Signals, and guides the reader through the regulations.